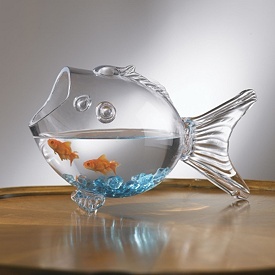 justice « Living Life in a Fish Bowl! As I think about the turmoil, sadness, and fear in our land after the recent events the question that keeps surfacing is — What can we do? There is evil in this world – clearly that is evident. People have free will – clearly that is evident. Pray, and pray is what I have been doing and will continue to do. It is powerful. Prayer makes a difference. One of the biggest things prayer does is change the person who is praying. Oh, that more people would pray. God is still on the throne. He offers forgiveness, peace, comfort, joy, help….. an ever present help in trouble. (Psalm 46:1 — trouble is real but so is God’s help) People doing horrendously evil acts does not change the fact that God loves us and He is with us. Mother Teresa is known for saying that she saw Jesus in each face she touched. What a difference our world would be if that become the norm. I do not live in Dallas, Baton Rouge or St. Paul but I can make a difference in my corner of the world. I can spread God’s love to those I meet. I can look for opportunities to do good. I can refuse to let fear rule my thoughts and actions. I can speak up for justice. I can and will let God work through me. May my life reflect You, Jesus, my Savior, King, Lord, and Friend! Ever since I can remember I have had a soft spot in my heart for those who are mistreated. In a perfect world all would be fair. Ah, but I do not live in a perfect world. …to do justly — to do the right thing. It is more than that though. It is to treat people fairly. I have heard it said that respect has to be earned. I understand what is meant by that. Yet I think that some people use that as an excuse to treat people poorly. I think that everyone should be treated decently. How I treat someone is not a reflection of what type of person they are, but it is a reflection of what type of person I am. This is more challenging at times. Yet it is possible to treat people (yes even people who rub you the wrong way) decently. ….to love mercy — not getting the punishment that I deserve. I love mercy! I try to demonstrate mercy by not being critical, judgmental, or harsh in my dealings with people. What is it that I hand out to people? mercy or judgement?? The tongue can be a powerful weapon used either to build up or to be hurtful. It can be used to offer mercy or it can be a cruel weapon. Oh that I would always pick mercy. …to walk humbly with our God — recognizing that without God I am nothing. With God I can do all things, but it is not by my ability. It is by the grace of God. The opposite of humble would be prideful. When pride steps in, humility steps out. I remember as a kid befriending this girl who was being picked on. Kids can be so cruel. As I grew up I learned that adults can be cruel also. Some people feel the need to make others look bad so that in some warped way they look good. I could never understand this. It does matter how I treat people. It does matter how I talk about people. It does matter if I choose to do the right thing or choose to do nothing. (Unless, of course, nothing should happen to be the right thing for that situation.) It does matter.